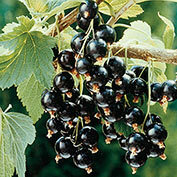 Consort Black Currant | Gurney's Seed & Nursery Co. Enjoy a delightfully sweet-tart, flavorful black currant—without having to worry about white pine blister rust. In late summer, Consort produces medium-sized black berries that are high in vitamin C and good for fresh eating, baking, jams and jellies. Grows 3- to 6-ft. tall. Immune to white pine blister rust. Attracts pollinators. Available in a gallon pot and shipping now. Potted. Zones 3-7. 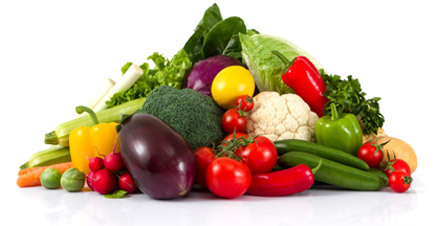 Light Required: Prefers full sun but will produce fruit in partial shade. Comments: Enjoy a delightfully sweet-tart, flavorful black currant-without having to worry about white pine blister rust. In late summer, Consort produces medium-sized black berries that are high in vitamin C and good for fresh eating, baking, jams and jellies. Grows 3-6 feet tall. Immune to white pine blister rust.